Reef's latest young adult biography is Victoria: Portrait of a Queen. Right now Sylvia Plath is the subject of an exhibition at the National Portrait Gallery in Washington, D.C. Letters, photographs, original artwork, objects as diverse as Plath’s typewriter and handmade paper dolls—the artifacts reveal a Plath whom readers of her poetry might not know. I was especially intrigued because I had just read a book that showed me another lesser-known side of the confessional poet, Plath the writer of short prose. Johnny Panic and the Bible of Dreams, first published in 1977, is a collection of short stories, essays, and diary entries. Writing fiction did not come as naturally to Plath as composing poetry did. Plath’s husband, Ted Hughes, called her ambition to write salable stories a burden to her. 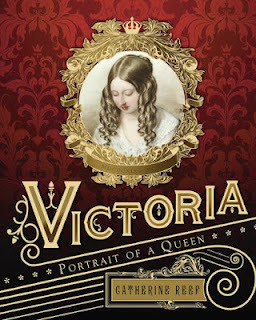 It seemed to me as I read this collection that plotting was not one of her strengths, or perhaps one of her interests. She was better at exploring characters and situations on the page. To make a story from what she had written, she often hurried it to an unsatisfying conclusion. 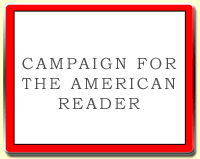 Stories she wrote in the late 1950s and early 1960s aimed at women and girls, for example, conform to the formula for those published in women’s magazines of the period and conclude by affirming traditional values. “Initiation” ends with teenage Millicent rejecting admission into an elite sorority because her best friend has been excluded. In “Day of Success,” a housewife who briefly doubts that her husband finds her attractive learns to embrace her ordinariness. Other stories end in trite ironic twists that can only be called amateurish. Using language to strong effect was what truly interested Plath. Who else would think to personify panic like this: “His love is the twenty-storey leap, the rope at the throat, the knife at the heart”? 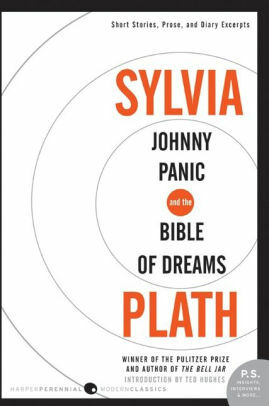 The reflected sun was “red as a dwarf tomato,” Plath wrote; blood was a “thick, sweet honey.” I savored her stories for their poetry. Biographies are often in my to-be-read stack. Recently I finished Peter Guralnick’s 2015 book, Sam Phillips: The Man Who Invented Rock and Roll. 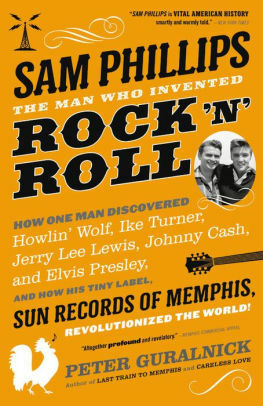 The title claim is debatable, but Guralnick did a superb job of creating a well-rounded portrait of Phillips, the founder of Sun Records in Memphis, which is what a good biographer should do. Phillips emerges as a charming visionary with a remarkable ability to make possible the life he imagined for himself. He built Sun Records in the belief that the American South was rich in undiscovered musical talent, that he need only open his studio door and wait for tomorrow’s stars to walk in. And it is astonishing how many great names did amble in: Ike Turner, Howlin’ Wolf, Elvis Presley, Johnny Cash, Roy Orbison, and Charlie Rich, among others. Phillips knew enough simply to let each one play, to listen as he revealed his strengths, “to recognize that individual’s unique quality and then find the key to unlock it,” as he said. As a fan of early rock and roll, I loved all this history. Guralnick’s biography is atypical because he was acquainted with his subject; in fact, he knew Phillips well. He acknowledges this friendship in his “Author’s Note,” stating that his book was “written out of admiration and love.” Are these sentiments unusual? I would argue that many biographers grow fond of their subjects, even those who aim for that cold, elusive quality we call objectivity. Guralnick’s affection for Phillips seems not to have kept him from presenting his subject’s less flattering side—Phillips’s alcohol abuse and extramarital relationships are given due attention. And for the twenty-five years that he knew Phillips, Guralnick becomes a character in the story he is telling. His biography takes on aspects of a memoir but remains focused on its subject. One joy of reading is returning to books loved long ago and reading them again with fresh eyes. 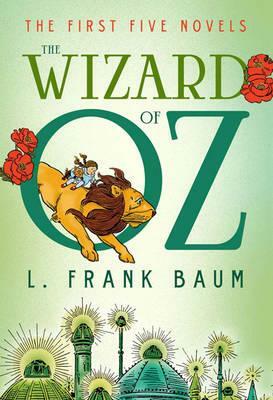 I’ve done this with novels that spoke to me in early adulthood, and recently I did it with a set of stories I treasured in childhood, the “Oz” books by L. Frank Baum. Baum wrote fourteen novels set in his “fairy country.” I reread the first five, which Barnes & Noble’s Fall River Press released in a single, seven-hundred-plus page volume in 2014. These stories are nothing if not formulaic: if Dorothy does not end up in Oz by means of a tornado, then she is brought there by an earthquake or a storm at sea. She completes several journeys accompanied by fantastical friends. Most famously, in The Wonderful Wizard of Oz, she walks the road paved with yellow brick accompanied by the Scarecrow, Cowardly Lion, and Tin Woodman, aka Nick Chopper. On other travels her companions include a talking hen and the rainbow’s daughter. I quickly learned that characters introduced in one book are likely to show up in others, and I looked forward to meeting them again. 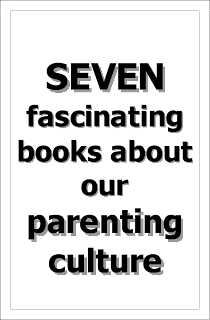 These books celebrate lasting friendship. I did encounter stereotypes. An army of girls, for example, carries knitting needles as weapons and cares most about jewelry and new gowns. And there are occurrences that seem bizarre and possibly inappropriate today. I’m thinking of the boy Tip in The Marvelous Land of Oz, who learns that he is really the princess Ozma, that he began life as a girl but was bewitched in infancy. When the truth comes to light he is transformed again despite his protest that “I want to stay a boy,” and “I don’t want to be a girl!” This episode feels very wrong in our time of growing sensitivity to transgender issues. Still, Baum’s novels for the most part are delightfully imaginative literary comfort food. I find myself missing his magical land weeks after I put on my own enchanted slippers and came home.